Home » Blog » 6 tips for improving the success rate in your link building outreach campaigns. One of the most effective tactics in SEO is email outreach, however it is becoming more challenging to secure links using this method. There are many webmasters that want to charge money for placing a link on their site, which is against Google’s Terms of Service. Additionally, webmasters typically get bombarded with several hundred of even thousands of emails asking to link to people’s content. Most of the time, it is people who they don’t even know. So how can you improve your chances for securing links through the outreach process? Implement a two-step pitch process. Develop a strong value proposition. Aim to build a relationship. Pitch to the right target audience. Remember that it is a numbers game. You need to make sure that there are enough prospects out there. If you want to go through your volume of prospects quickly, then a one-step pitch process is ideal. However, if you want to improve your conversion chances, a two-step process is likely to be more beneficial. Resource: Two-step outreach process case study. 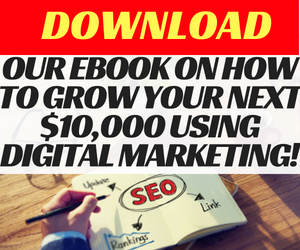 In my SEO ebook, I talk about the importance of establishing a strong value-proposition before doing any SEO activity. The value proposition is what people will buy into. This will form the basis of your pitch and will incentivise people to do something with you in the future. Refine this to the point where it converts strongly. Recommended resource: 40 Best cold email pitches. We live in a “me first” culture. People outreach with the intent to only get the benefit for their own website, rather than focusing on how to make the opportunity beneficial for both parties. The approach most people use is like a one-night stand. It’s done for a specific reason and then they move on. Rather than focusing on developing a relationship that can yield many more benefits over the long-term. 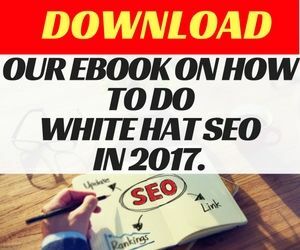 The process might be slower, but you will improve your chances for generating high-quality links, which can be gained from the same site again in the future. Jason Acidre from Kaiser The Sage made a good point in one of his blog posts, citing that it is more beneficial to gain several high authority links from one domain rather than trying to get several more domains to link back to your site. One of the ways this could be achieved is by becoming a contributor to a high-authority site in your industry and publishing blog posts regularly. 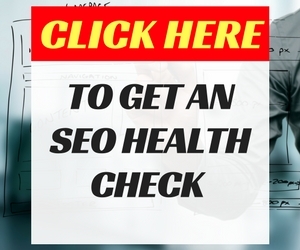 This could see you gain 10-50 links from the highly authoritative source. However, to establish this arrangement, you will need to develop a relationship that will create an opportunity for you to become a contributor to the site. One of the easiest ways for your pitching process to fail is if you pitch to the wrong audience. The key is to satisfy a hungry market. So who is hungry for the content that you plan to pitch? For example, you might have amazing content to share, but it isn’t the type of content that people want to share. So it is important to reverse-engineer the target market of bloggers and influencers who will share the content on their platform and see exactly what type of content they want to share. These are just a few of the types of content that people will want to share. It is up to you to know exactly what type of content your target market wants. Then give it to them. Much like in sales, it is a numbers game when doing outreach. When doing sales, it is important to reach out to at least 50 prospects per day in order to build a pipeline of link opportunities and then convert those opportunities into live links to fulfill the link building process. If you are to implement a similar approach, you will need to pitch to 1500 prospects every month. This is alot of prospects to find. However, if you convert 1% of those opportunities, you will end up with 15 links during the month. It is alot of work, which is why it is important to develop a process that will allow you to scale your link building activity. By building a consistent link opportunity pipeline, your site will be able to secure valuable and relevant links that will help your site to rank competitively for your target SEO terms. Your site might only need a couple of links to rank competitively. But you need to ensure that there are enough sites to reach out to so that you will be able to secure link opportunities. For example, if you own a travel website, it will be easy to find several websites that cover various travel and lifestyle topics. The same can be said about finance or business websites. However, when you start looking at niche sites such as self-storage, it becomes a bit more difficult to find the amount of sites that you need to scale your link outreach process. You will need to implement a process that will allow you to find, source and be alerted to any new link opportunities that’s relevant to your campaign. Link building resource: 10,000 search queries to find link building prospects. We are continually refining our outreach processes and even though we do have success with our outreach activity, we feel like it can be improved. We are confident that you can use some of the tips provided to improve the success in your link building campaign. If you have any thoughts, feel free to leave them in the comments section below. Great tips, David! They’ve been really useful!